James is a member of the firm’s litigation section. His areas of expertise include Divorce and Family Law, Divorce Mediation, Personal Injury and Civil Litigation. James’ family law practice includes, but is not limited to divorce, post-divorce issues, placement, custody, maintenance/alimony, paternity, adoption, guardianship, grandparent rights and termination of parental rights. James is one of the first attorneys in Western Wisconsin offering divorce mediation services. Through mediation, James helps both parties navigate the divorce process by drafting all the required paperwork and assisting them in reaching agreements on all issues including children, property and maintenance/alimony. James has extensive experience handling high asset divorces, executive pay, and farm and business division issues, and has also appeared before the Wisconsin Supreme Court. In his personal injury practice, James assists injured parties obtain fair and reasonable compensation for injuries that occurred as the result of third-party negligence. He has been involved in multiple cases resulting in verdicts in excess of $1,000,000. James’ experience includes representing those with catastrophic brain, neurologic and orthopedic injures, as well as those suffering the death of a family member. 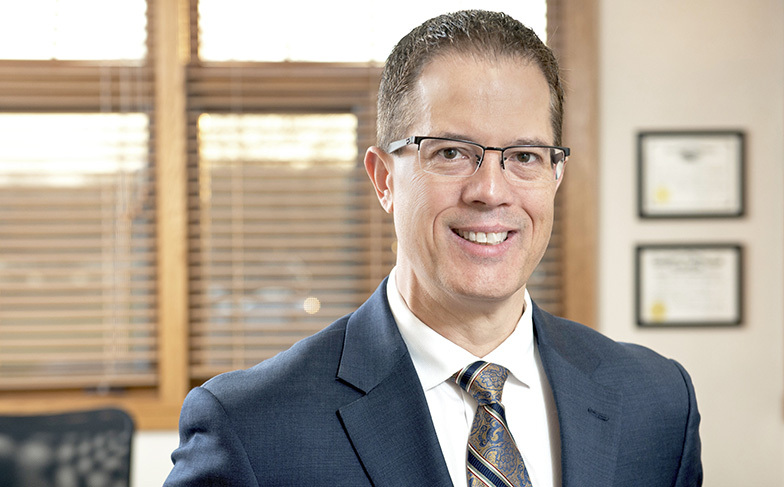 Prior to joining Weld Riley, S.C., James was a founding partner and president of the law firm Schofield, Parent, Mayer & Huff, S.C. in Menomonie and its predecessor firm, The Law Offices of Burgfechtel & Parent also in Menomonie. James is licensed in Wisconsin and Minnesota and is admitted to practice in the U.S. Federal Courts of Minnesota and the Western District of Wisconsin. James appears in courts all over Wisconsin, but primarily western Wisconsin, including Barron, Buffalo, Burnett, Chippewa, Dunn, Eau Claire, Jackson, Pepin, Pierce, Polk, Rusk, Sawyer, St. Croix, Trempealeau and Washburn counties. James was born and raised in Phillips, Wisconsin. He graduated from the University of Wisconsin – Eau Claire in 1986 where he served with distinction as the University Student Body Vice-President. He later attended and graduated from Hamline University School of Law in St. Paul, Minnesota in 1989. While in law school, James received the American Jurisprudence Award for excellent achievement in the study of Legal Advocacy. James is a member of the American Bar Association, Wisconsin Bar Association, Minnesota Bar Association, Eau Claire County Association, and a Mason, Scottish Rite Mason and Shriner and was on the initial Board of Governors for the Masonic Children’s Dyslexia Center of Upper Wisconsin. He is also a member of the Board of Directors for the Menomonie Free Clinic. In his spare time, James enjoys weightlifting, Muskie fishing, downhill skiing and spending time with his wife and son.